A few days ago we took at look back at some of the first Saturn brochure covers. 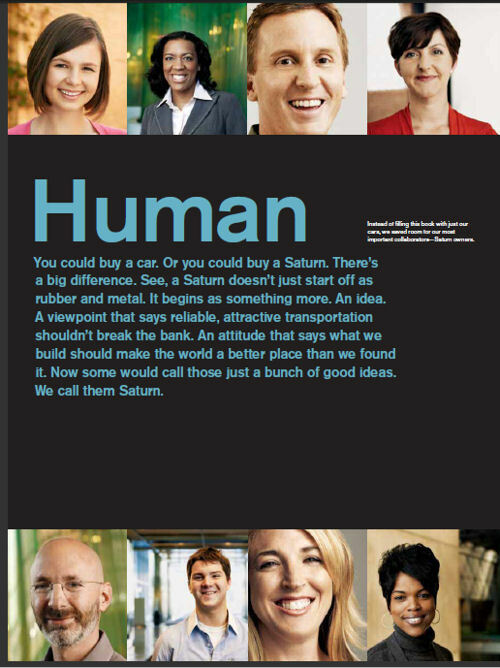 Today we have a sneak peak at what would have been the cover and front spread of the 2010 Saturn brochure. 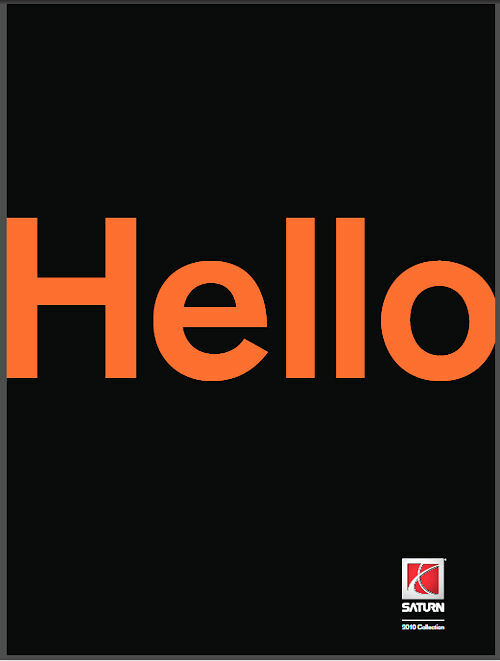 Saturn was reportedly gearing up for a big marketing push in 2010 once the Penske acquisition was completed. Unfortunately, the deal fell through and GM decided to shutter the brand — much to the dismay of the brand's loyal customers. Of the handful of 2010 models that were built (only 500 Outlooks, according to one source), none were shipped to retailers. They were instead sold directly to a fleet customer.